Parenting Tools Descriptions – Behavior Contract, Chart, and more! Behavior management does NOT have to be a full-time job! With the right tools and with a reasonable amount of determination, behavior management can be simplified without losing its effectiveness! Minimize arguments, re-establish the authority you once had, and get back to enjoying your role as a parent! Our all-in-one "parenting tools" package will have you shouting from the rooftops! It has everything you need in order to address your child&apos;s behavior issues. 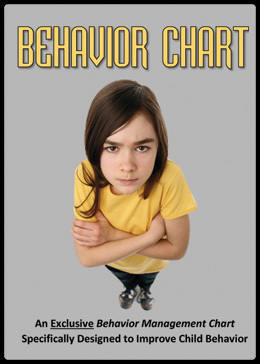 The most popular parenting download we offer is by far our behavior contract package. This particular package includes a set of 12 prewritten behavior contracts that address various issues related to child and teen behavior. Parents can choose to use only one particular contract or they can choose to use more than one at a time. Next, simply choose then print the specific contract(s) that are needed (based on your child&apos;s behavior issues)…and now you&apos;re ready! Sometimes it&apos;s best to allow children to come up with their own "behavior plan" rather than burdening the parent(s) with that task. Why? Because children are much more motivated to follow a plan that they themselves helped to create. 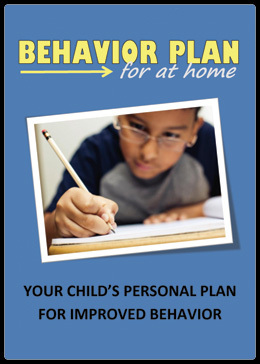 This printable "Behavior Plan for at Home" packet consists of a series of "fill-in-the-blank" worksheets that are completed by the child, ultimately resulting in a somewhat "informal" behavior plan. The behavior plan can then be discussed and formalized between parent(s) and child and it can be enforced to the degree that is necessary. 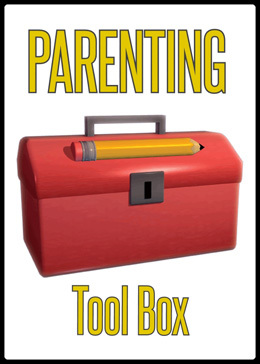 Our "Parenting Tool Box" consists of 10 original parenting tools that can be used by parents for a variety of purposes, depending on individual needs. The tools in this package can be used alone or in addition to any of the other downloads available on this site. These 17 exclusive and thought-provoking worksheets will get moms and dads brain-storming about various parenting issues. Parents just might be surprised at what they learn about themselves! 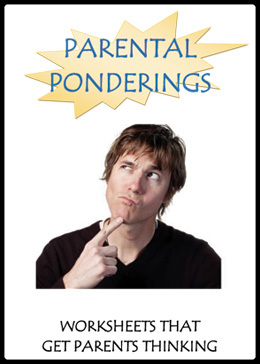 These and many more parenting worksheets are available in our "Parental Ponderings" download! 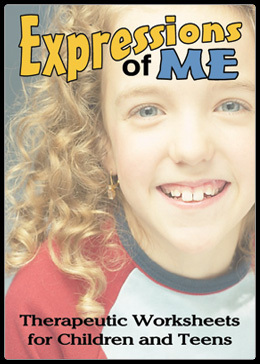 "Expressions of Me" is a diverse set of downloadable therapeutic worksheets for children and teens. With over 70 worksheets at your disposal, you&apos;re certain to find several that meet the needs of your child. You&apos;ll find worksheets that address such topics as self-esteem, coping-skills, life skills, character education, feelings and emotions, social skills, and more! Young children can benefit from these worksheets since several of them involve drawing rather than writing. Older teens can complete some of the more "involved" worksheets to learn about character, choices, and their own identity. Print 1 or 2 worksheets to address a specific issue or print them all off to create your own "Expressions of Me" workbook. Your child is certain to benefit from these valuable and creative worksheets…and imagine the insight parents can glean about their children after the completed worksheets are shared. Implementing a token economy in your home is simple and can be highly-effective with regards to improving child behavior…and our downloadable Behavior Bucks can help you get one started! 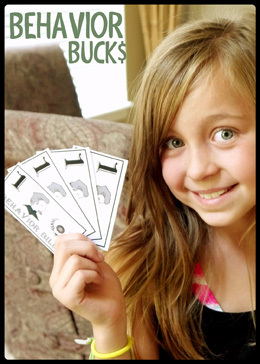 Behavior Bucks are fun and highly motivating for children. This popular behavior management tool is an in-home token economy system that can be put in place with minimal effort…yet the payoff can be incredibly impressive! Children will begin to take initiative around the house and will likely jump at the chance to help out around the house….as long as they can earn a Behavior Buck! Once a child earns enough "Behavior bucks," they can be traded in for special treats and/or privileges…win/win for everyone! This particular download is more of a "teaching tool" as opposed to a "behavior management tool." This printable packet of worksheets introduces a variety of feelings to the child and offers an outlet to discuss (and to express) those feelings. Each page follows a similar format but with a different feeling (or emotion). While it may be younger children that most benefit from this particular, it is by no means meant for them only. Older children and teens can certainly benefit from this unique tool as well. 8. 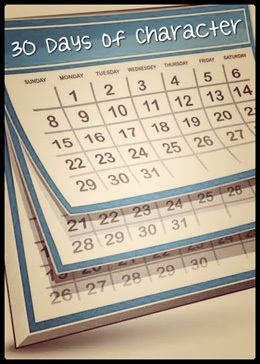 "30 Days of Character"
Probably the most "basic" of all the tools we offer, the "30 Days of Character" worksheet is similar to the "Feelings Journal" except that it addresses "character" instead of "feelings." Parents are instructed to copy off 30 of the "character worksheets" then to have their child complete 1 worksheet per day as it relates to the accompanying "character trait of the day" list. Simple as that! This, too, is more of a "teaching tool" as opposed to a "behavior management tool"…however, it never hurts to learn (or to be able to recognize) the qualities of good character in the hopes that these traits will become routine with regards to behavior. 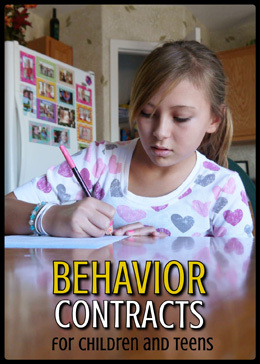 Along with the behavior contracts package, this is one of our most popular downloads. This behavior chart is more than "just a chart," it is a well-designed "behavior improvement system!" This behavior chart takes things a step further than most of the behavior charts you&apos;ve probably come across online or in books. It includes instructions, the chart itself, a "behavior descriptions" sheet, and a "contract for privileges and consequences"…which all work together for the sole purpose of improving child behavior! We think you&apos;ll like this one! 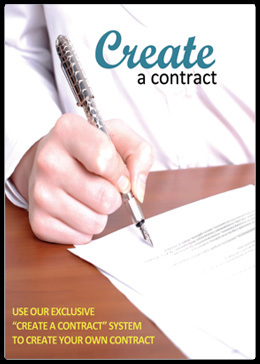 This online "Create a Contract" system is probably our most impressive offering! Parents can log into the system and create a fully customizable behavior contract for their child (or children). That&apos;s right! Choose the look, choose the color scheme, choose the stipulations that your child is to abide by, and choose the potential rewards and consequences…then print, sign, and watch your child&apos;s behavior improve! 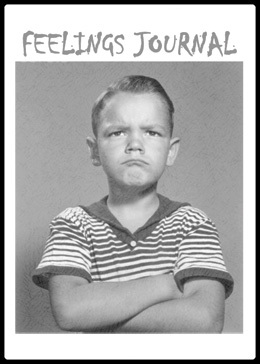 Choose from our selection of prewritten "behavior stipulations" or come up with your own. You can even save your contracts in our system and retrieve them at a later time! Fun to use!